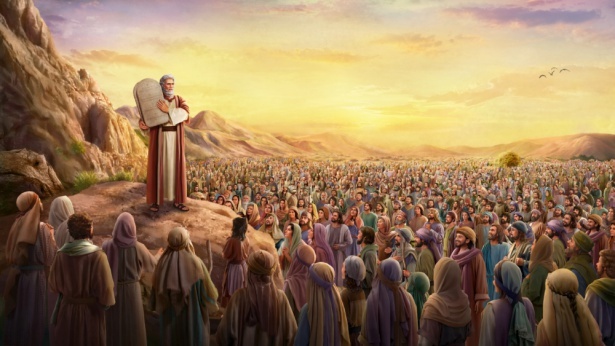 Bible Story Study: Why Did Job Curse the Day of His Birth? It is dusk, and a grey-haired old man was sitting by the ashes of his fire, his exposed skin densely covered in painful boils, the surface of the boils broken and suppurating in a horrifying scene. The old man’s expression showed that he was extremely sorrowful, yet he remained silent and, picking up a potsherd, he began to scrape at the boils. 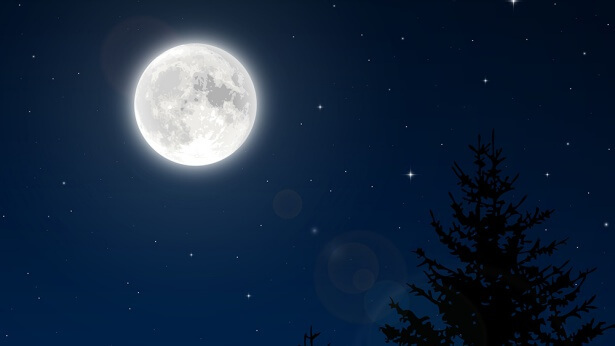 After a long while, he said, “Let the day perish wherein I was born, and the night in which it was said, There is a man child conceived” (Job 3:3). “Cut! Cut! Yi Qian, you haven’t got the expression quite right. Job shouldn’t look that way….” The director frowned as he spoke fretfully to Yi Qian. Two months before, the director was preparing to shoot the film Taking You Back to The Book of Job. At the audition, Yi Qian, only 35 years old, gave an exquisite performance that was both natural and genuine, and he successfully recaptured Job’s expressions when trials had befallen him. His performance filled both the director and his team with admiration. From that day on, Yi Qian was the acknowledged favorite to play the role of the protagonist. From the audition to the actual shooting of the film, Yi Qian had not once disappointed anyone. But when it came time to shoot the scene of “Job curses the day of his own birth,” the film’s progress ground to a halt. In fact, over these days of shooting, Yi Qian realized too that he couldn’t get into the role because he couldn’t understand why such a perfect man as Job would curse the day of his own birth. He was therefore incapable of getting Job’s expressions and movements right when he was cursing the day he was born. Time trickled past, and in the lonely silence of the night, all he could hear was the “tick tick” sound of his alarm clock. Yi Qian lay his Bible aside and he thought of a book his wife had recently given him. 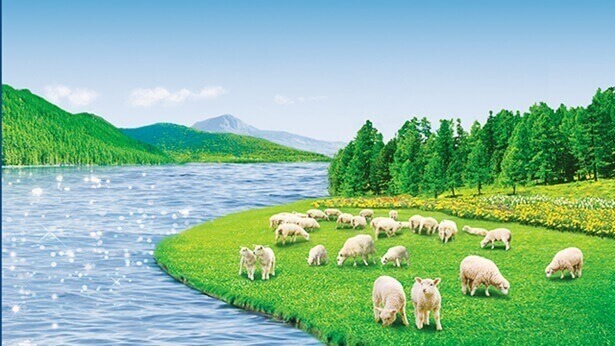 The book explained very clearly the thought of God behind every single thing Jehovah God and the Lord Jesus did and, through his wife’s fellowships, he had come to understand more about God’s will. Thinking of this, Yi Qian hurriedly opened that book and he just so happened to see a fellowship about Job. He then turned to the page with the subtitle of “Job Curses the Day of His Birth Because He Does Not Want God to Be Pained by Him,” and he read: “When Satan stretched forth its hand to afflict the bones of Job, Job fell into its clutches, without the means to escape or the strength to resist. His body and soul suffered enormous pain, and this pain made him deeply aware of the insignificance, frailty, and powerlessness of man living in the flesh. At the same time, he also gained a profound appreciation and understanding of why God is of a mind to care for and look after mankind. In Satan’s clutches, Job realized that man, who is of flesh and blood, is actually so powerless and weak. When he fell to his knees and prayed to God, he felt as if God was covering His face, and hiding, for God had completely placed him in the hands of Satan. At the same time, God also wept for him, and, moreover, was aggrieved for him; God was pained by his pain, and hurt by his hurt…. Job felt God’s pain, as well as how unbearable it was for God…. Job did not want to bring any more grief upon God, nor did he want God to weep for him, much less did he want to see God pained by him. At this moment, Job wanted only to divest himself of his flesh, to no longer endure the pain brought upon him by this flesh, for this would stop God being tormented by his pain—yet he could not, and he had to tolerate not only the pain of the flesh, but also the torment of not wishing to make God anxious. 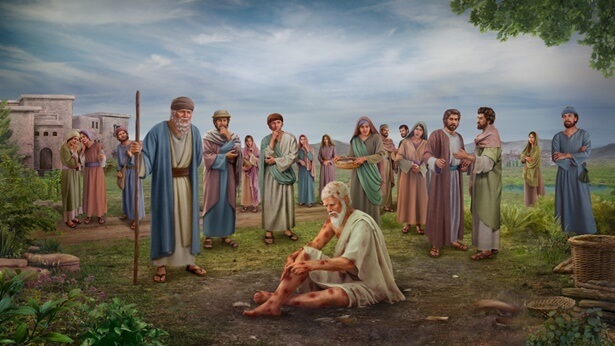 These two pains—one from the flesh, and one from the spirit—brought heart-rending, gut-wrenching pain upon Job, and made him feel how the limitations of man who is of flesh and blood can make one feel frustrated and helpless. Under these circumstances, his yearning for God grew fiercer, and his loathing of Satan became more intense. 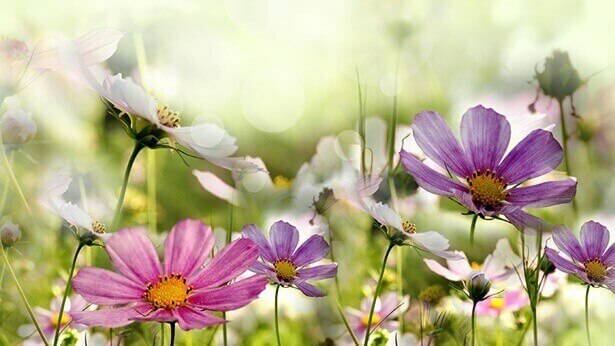 At this time, Job would have preferred to have never been born into the world of man, would rather that he did not exist, than see God cry tears or feel pain for his sake. He began to deeply loathe his flesh, to be sick and tired of himself, of the day of his birth, and even of all that which was connected to him. He did not wish there to be any more mention of his day of birth or anything to do with it, and so he opened his mouth and cursed the day of his birth: ‘Let the day perish wherein I was born, and the night in which it was said, There is a man child conceived. Let that day be darkness; let not God regard it from above, neither let the light shine on it’ (Job 3:3–4). Job’s words bear his loathing for himself, ‘Let the day perish wherein I was born, and the night in which it was said, There is a man child conceived,’ as well as his reproval of himself and sense of indebtedness for causing pain to God, ‘Let that day be darkness; let not God regard it from above, neither let the light shine on it.’ These two passages are the ultimate expression of how Job felt then, and fully demonstrate his perfection and uprightness to all. At the same time, just as Job had wished, his faith and obedience to God, as well as his fear of God, were truly elevated. Of course, this elevation is precisely the effect that God had expected” (“God’s Work, God’s Disposition, and God Himself II”). After the director had read it, he exclaimed, “Thanks be to God! I feel so ashamed now that I’ve read this! Although I admired Job a lot, I always felt confused. Job was so upright, and he feared God and shunned evil, so why would he curse the day of his own birth? Now my confusion is gone at last. Job’s actions arose entirely from his love and consideration for God, and it was an expression of his unwillingness to cause God any grief or pain! That Job could express such a thing in such extreme pain is so admirable. We really cannot compare with Job!” As he spoke, this 50-something year-old director choked with sobs. “Yes indeed. God’s word is the truth! By using our imaginations to regard Job’s cursing of the day he was born, we are still not able to entirely accept God praising Job as a perfect man. It seems as though, if we do not know God, then we will be apt to use our imaginations in our approach to God’s words, and that would certainly displease God! We must not base our approach to God’s words on our own imaginations any longer,” said the director firmly. With the sound of the producer’s clapperboard, the old man covered in sores began to scrape at his boils before the ashes of his fire. The old man slowly raised his head. His eyes seemed to be filled with tears and, for a moment, his expression seemed to burst with a plethora of mixed emotions—attachment, adoration, pain. He wants to be strong, he wants to care for God’s heart, and such strong desires are startling in their intensity. Finally, he said with tremendous self-loathing and pain: “Let the day perish wherein I was born, and the night in which it was said, There is a man child conceived” (Job 3:3). The whole crew broke into joyful applause. Yi Qian stood and wept for joy. 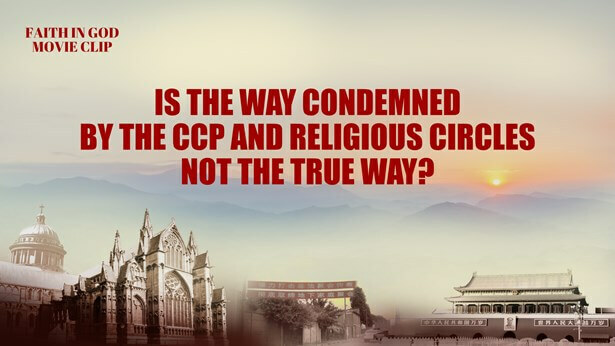 Previous：If Eastern Lightning Is the True Way, Why Is It Oppressed? Next：Christian Devotionals: Will the Lord Jesus Still Be Called Jesus When He Returns in the Last Days? 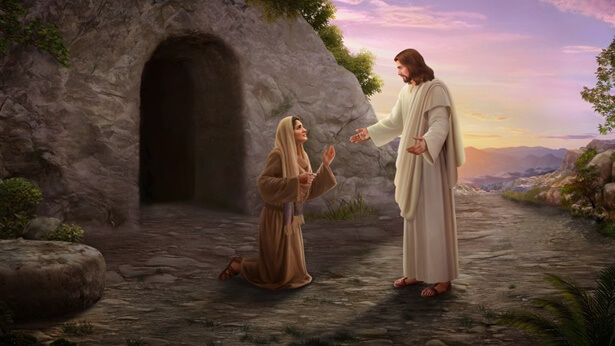 Lord Jesus had truly returned from the dead, that He was still the same Jesus who had loved man and taken mercy on man, that the Lord Jesus was the incarnate God Himself, and that He was the Messiah prophesied in the Bible who would come to redeem mankind. The state official from the neighboring country that delivered the flower baskets had heard of Solomon’s wisdom. 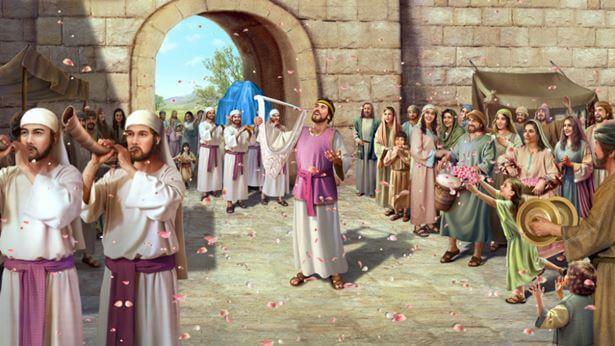 So, he asked Solomon to distinguish between the real flowers and the fake flowers.